The BookThinker, a free twice monthly newsletter addressing a wide range of bookselling topics. BookThink's Guide to Online Bookselling, an in-progress master guide to 21st century online bookselling with new chapters issued periodically. BookThink's Bookseller's Author Reports, detailed reports featuring authors who consistently deliver the best profits for booksellers. Moderated book forums; an extensive library of active and pertinent book-related links; book and bookseller product reviews; interviews with authors and other notables; and tutorials on practical book repair, grading, terminology, buying for resale, selling books online and off, building a bookseller's reference library and more. The Death of the Forum? Experienced booksellers who depend on local estate sales, auctions, etc., for inventory acquisition no doubt have proven strategies for maximizing their efforts to grab the good stuff amidst competing booksellers, especially when both other booksellers and books are many. Sometimes it's an all-out athletic event, sometimes less challenging, but, if you're new to the game, some sort of strategic approach to a roomful of books is helpful. Mine is more or less three-pronged. Another installment of BookThink's Proverbs of Bookselling today - the 8th group of five. Note to subscribers: Chapter 19 - Building Value Into Books - of BookThink's Guide to Online Bookselling was delivered recently. If you didn't receive your copy, please check your spam folder first. If it's not there, email me at editor@bookthink.com and I'll get it to you ASAP. There are numerous things that betray the amateur - or inexperienced - bookseller as an amateur. Often the description alone gives it away via exposing a lack of command of bookselling terminology. Or not using something resembling the Standard Format. But perhaps just as often it's what's not in the description. As a bookseller, early on, I recall doing market research on eBay almost daily - and almost daily coming across a seemingly ho-hum looking book titled The Giant Golden Book of Biology. As my family and friends know, this has been, health-wise, a difficult year for me, and in a sense it began in November, 2016 when I contracted a strep infection followed closely on its heels by a bout with bronchitis that would persist for many months. This triggered, in turn, three ER visits, four EKG's and numerous additional tests along with visits to various specialists in an attempt to diagnose why I was having, among other things, serious low blood pressure episodes. A latest event - this has been especially fun - has involved an elevated PSA. I'm sure that the last thing most of you want to hear is a tale about somebody's health issues, but I'm telling you mine because I feel as though I've let some of you down, maybe more than some, by being slow issuing both free newsletters and paid reports. If there's good news, it's that I think that all of this health junk has been solved, and I feel better than I have in months. I'm also feeling enthusiastic about BookThink - and very much want to get on with things here. Years ago, the eBay bookseller's forum, aka the BSB, was a fount of useful bookselling knowledge. One of its more prominent contributors often posted what I guess you could call bookselling aphorisms - concisely worded, generally applicable truths about bookselling. One such aphorism, re-posted recently by a surviving BSB member on the "new and improved" (NOT) eBay forum, was the following: "Most new bookdealers burn out within three years ... " I've seen more than a few of them burn out myself over the last, now almost twenty years, but still, some don't. Coincidentally, for those who don't it seems to take a similar period of three or four years for them to actually get it, as in, "Ohhh, now I see what I need to do to make this bookselling thing work." When purchasing inventory, no matter what venue it happens in, there is always risk. The best we can do, it seems, is to make educated guesses on what will sell for a profit and hope to be right most of the time. Having access to historical pricing obviously lessens the risk, but collector interest - for that matter, institutional interest - can change at any time, and even what happened yesterday is no guarantee of what will happen again. But there are times when, if you're like me, you take what in gambling parlance is called a flyer. A flyer goes beyond educated guessing and is perhaps better characterized as wild guessing. I like to think that I'm better at this sort of thing now than I once was, if for no other reason than experience seems to enhance my instincts - and taking a flyer on something is almost purely instinctive, if not totally so. One would think that the passing of an author who wrote a book that, to date, has sold over 50 million copies would merit something more than a yawn, but no fireworks have gone off since Robert James Waller's passing a few days ago. More in today's feature article. Author Robert James Waller passed away on Thursday, March 9. There wasn't much fanfare about it, certainly nothing on the order of a few others recently deceased. Prince, say. Or Arnold Palmer. Typically, authors don't achieve celebrity status, and why should they? At best they lurk in the background while we read - and sometimes get lost in - something they've written, their faces nowhere to be seen. And it doesn't seem to matter much if somebody like Waller penned one of the bestselling novels of all time - The Bridges of Madison County. Over 50 million copies sold to date. As most of you know, popular movies and television shows often drive sales of associated material - books, for example, magazines, and so on. In the case of the recently concluded History Channel reality show series, The Curse of Oak Island, this phenomenon has certainly been afoot. Today's feature article gets into more detail about this. Though I purchase a significant amount of inventory elsewhere now, I still spend time most days on eBay searching for things I can make a buck on. What makes eBay a good starting point is that you don't have to risk a lot of money. Today's feature article offers a case study on how this can be done even if you've never seen the book you're buying nor heard of its author. Something I've long observed feedback I've received at BookThink is that there are, more or less, two types of buyers for our reports. There are those who want what I would call hot information - tips - that will help them make fast money. And there are those who realize that this approach to bookselling - scoring big and soon - is little more than a recipe for disillusionment. The latter are more interested in the foundational knowledge required to build a successful business on. Though some of BookThink's reports do emphasize what to buy, I've always attempted to keep most of the focus on what's needed in a more fundamental sense. If you're new to this game, it's important to know that you can succeed - and do it in more than a modest manner - but it's perhaps more important to know that nobody gets there overnight. BookThinks Proverbs of Bookselling continues today. Not so many years ago international sales comprised about 25% of my sales. Today it's down to about 15%, but I hear reports from not a few booksellers that their international sales have all but gone away. Today's feature article examines reasons for this and suggests at least a partial solution. Recently, I participated in a discussion on a bookseller's forum in which somebody declared, "I ship EVERYTHING in a box," then later noted that his packaging cost alone was about a buck a book. A buck a book? This is far from the first time I've heard this sort of thing. The use of boxes by booksellers seems to persist, stubbornly, as though there was something sacred in it. Or that, once one graduates to using boxes exclusively, one has arrived as a bookseller. What a bunch of applesauce. Just back from vacation, this year to Russia, the Baltics and several Scandinavian countries - and no, not once did I darken the doors of a bookstore. I understand that bookselling is pretty much a 24/7 undertaking for most of us, but I've discovered that it's a good idea (for me) to drop everything remotely related to bookselling for a few weeks once a year and let the world catch up to me. And clear. Last month I attended a filming session of the long-running PBS series Antiques Roadshow. This was staged in a huge hall at the Orlando Convention Center, and approximately 10,000 people moved through at various times during the day, each bringing one or two items for evaluation. The footage, once edited, will comprise three episodes of the show and be aired sometime next year. This is something I don't publicize much, but I will today: BookThink has a standing policy of crediting any purchases of BookThink reports you have made in the past toward the purchase of our Kitchen Sink package. Every dollar you've spent, that is, will be deducted from the $179.99 price. Email me at editor@bookthink.com for a quote. Do you depend on estate sales for part or much of your inventory? If so, how is it going? Do you enjoy getting up in the middle of the night to be first in line? Once inside, what then? Is it fun, fun, fun battling other booksellers for books? Paying more and more for the books you are able to grab? Or maybe, too often, you come out empty-handed, having burned an entire morning for nothing? Been there. I have felt the pain. But perhaps there is a better way to go about this? Some suggestions in today's feature article. I was never happy with commercial book boxes. They seldom fit right, aren't sturdy enough and still cost money. Envelopes and bubble mailers were not an option unless I could fit boxes into them, so by minor trial and error I've developed a very simple, common sense, geometrically oblivious method for safely packing books that works within my one man business. My customers have responded quite positively over the years so, even when I came close to purchasing commercial boxes during the most prosperous times, I decided to stick with what works. Plus, the method is inherently friendly to recycling. Bookselling proverbs are back today, #26-#30. Sell many cookbooks? If you don't, it's likely you're leaving money on the table again and again. Next to Bibles, I consistently come across more cookbooks worth bothering with at sales than anything else. If cookbooks are something you're serious about - or intend to be - there are some bibliographies that can prove useful. Today's feature article takes a close at them. When I got into bookselling, I knew next to nothing about cookbooks, nor was I overly interested in learning about them. But it wasn't long after I began to do market research that my interest perked up considerably. I discovered that there were a handful of cookbooks I encountered at sales time and time again that sold for real money online - $50, $100 (and more) real. In the ensuing years I've continued to learn more about them, and this has genre evolved into one of my specialties. In very recent years I've begun to focus on mixology as well. Some things in bookselling change; some things, seemingly, never do. One of the changes often cited is that the internet has leveled the playing field among more experienced and less experienced booksellers. Or has it? Today's feature article offers a case study to ponder. Take a look at most any book with more than a few copies listed on most any major bookselling venue and, more often than not, you'll see an array of prices - sometimes a dizzying array. There are a number of factors that can explain this, at least potentially. Condition might come to mind first, and it can be a huge factor in some instances, as can the presence or absence of a dust jacket - or other factors that play into the issue of completeness. And one's business model may affect things, say, in the case of a mega-dealer who needs to move stock quickly to keep a business viable, and thus price to sell. And - e-books and POD's are there in spades to complicate things. Important: BookThink's Kitchen Sink sale will end tomorrow morning, February 1, at 9 am. The Kitchen Sink, otherwise known as everything, includes subscriptions to BookThink's Guide to Online Bookselling and BookThink's Author Reports (including the Grosset & Dunlap reports) along with all complete report packages - all Gold Editions, all 50/50's and all Quarterly Market Reports - and any revisions/updates to these reports as they are completed. The subscriptions include all current chapters and reports and additional chapters and reports as they are issued. This is a ton of bookselling content that, if applied, will pay for itself quickly and generate income for years to come. What has been offered at $179.99 for many months now will be slashed to $129.99 - a $50 savings. Click here to purchase it, and everything will be emailed to you as attachments within 24 hours. 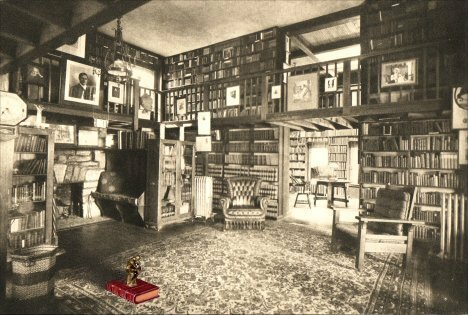 Over three decades ago I walked into a used bookstore in the historic district of a Midwestern town and beheld an extraordinary array of bookcases that shelved what had to be over 100,000 books. I wasn't there to buy books; I'd been called to the scene by the proprietor, who needed even more bookcases. A friend of hers had built the original units but was no longer available, she explained, and, after leading me up to one of them, then asked, "Can you build me something to match this?" "I can," I said, "but I won't." Today's newsletter isn't a newsletter as such but a sort of addendum to last week's newsletter - namely, some feedback from it. I've put together five representative opinions in the following article, which I think you might find interesting. If you don't know what a bookjacker is, you'll soon find out. A few representative opinions on last week's newsletter. Fraud in bookselling is an age-old issue, and even in our time - a time when it's so much easier to out somebody who isn't doing the right thing - it persists. In today's feature article I present a case study of an eBay seller who has been getting away with murder for years. I would appreciate your feedback. I'm not much of a policeman. I spend a lot of time buying books on eBay, so it's inevitable that I run across misrepresented books - a lot of misrepresented books. To be charitable, I assume that most of them aren't deliberate misrepresentations, and mostly I just move on when I see them. Even if I felt so inclined, there wouldn't be time to address every last one of them, and if I tried, I'm not sure it would foster much goodwill or even change most seller's practices. I sometimes make an exception when a book is represented, for example, as a First Edition, is anything but, and it's getting bid up and up - and it's clear that the buyer will be hugely over-paying for something that isn't what the seller says it is. Mostly I get polite replies from sellers. Sometimes no reply. Much less often do I get push back. I guess this is some indication that most sellers want to do the right thing. But certain things nag at me some. 2016 has arrived, and with it a fresh start. The primary focus at BookThink will be, as always, on buying and selling books, and several projects now in the planning stages will help the cause. Look for announcements soon. Some of you may recall that, in a former lifetime, I designed and built furniture. For one reason or another, I probably built more shelving - or bookcases - than anything else. After you've built your first 100 or so bookcases, you get a feel for what works and what doesn't; after 1,000, you don't even have to think about it anymore. You just know, usually at a glance, even if you're looking at something you didn't build yourself. 2016 is almost upon us, and how are things looking for you? Are holiday sales brisk? As BookThink moves into its 13th year I can safely report that bookselling is a different game than it was in 2003, but it's a game that can still be won. A few observations in today's feature article. Several months ago I purchased a turntable for my son's birthday. You can connect it to most anything - computer speakers, TV, whatever. Toss a record on it, and you're ready to go. No expensive components to purchase, and at about $100, not a budget buster. The thing is, though he grew up in a different time, he likes how vinyl sounds, and so do I. So do many of us. But I never anticipated I'd be buying a turntable for any purpose in 2015. Feedback for the November 22 BookThinker - "Critical Mass Bookselling" - was, let's say, above average, and it pointed to some things I probably should have clarified the first time through. Thus a second look in today's feature article. As these things go, response to the November 22 BookThinker was fairly brisk. When I was writing it - specifically, the article on "critical mass" bookselling - a small voice said, "Maybe you shouldn't use yearbooks as an example without elaborating on it." Based on some of the feedback I received, it appears as though that voice was right. There are many viable approaches to bookselling, and any one bookseller may not settle on one but take on two or more. I know I do. But one approach that doesn't seem to come up for discussion much is what I call critical mass bookselling - the topic of today's feature article. Other than buying low and selling high, what, if any, is your strategy for purchasing inventory? One possible approach - and a successful one for at least some booksellers - is to purchase books (as cheaply as possible) with the best Amazon sales rankings. Not so many years ago I knew several booksellers who did this, maintaining inventories of about a thousand books, and they did quite well, achieving turn rates of one quarter to one third monthly. When is the last time you sold one third of your inventory in one month? To be sure, this is short-tail selling on steroids. But wouldn't it be nice to keep your inventory at this level and still make good money? What a time saver it would be! Or would it? In the process of searching a digitized text, how many times have you received a "no results" reply, even in situations where you know darn well the information you're looking for is in it somewhere? I have, more times than I can count, and it often occurs in situations where there is no alternative source for the information - or at least one that's remotely convenient. If you haven't already noticed, a significant percentage of digitized texts are comprised of poor scans - and are either unusable or nearly so. If you're researching a potentially valuable book in an online bibliography, for example, this can be frustrating because you want very much to maximize its outcome. Fortunately, there is hope, and today's feature article explains why. Are You Searching Digitized Texts and Coming Up Empty-Handed? Say what you will about the effect the so-called Digital Revolution has had on the print book marketplace, I for one have found myself accessing digitized books and other publications often of late - for research, mainly - and am thankful that I can. Though far from complete, at least some of the reference materials that booksellers once had to darken doors of libraries to access (or spend big money to acquire) are now freely available in various digitized formats at the Hathi Trust Digital Library, the Internet Archive, etc., not to mention numerous institutions. Better yet, unlike print content, these publications are readily searchable. Or are they? Fun with Bookselling proverbs again: 21-25. Part I of BookThink's Bookseller's Guide to Grosset & Dunlap has been delivered to subscribers of our Author Reports. If you didn't receive your copy, please check your spam folder first. If it's not there, email me at editor@bookthink.com and I'll get it to you ASAP. This report is also available for purchase here at $19.99. Part I of BookThink's Bookseller's Guide to Grosset & Dunlap has been delivered to subscribers of our Author Reports. If you didn't receive your copy, please check your spam folder first. If it's not there, email me at editor@bookthink.com and I'll get it to you ASAP. This report is also available for purchase here at $19.99. It's funny how often learning a trade involves unlearning. One of the first things I "learned" as a bookseller was that Grosset & Dunlap was a reprint house, and I labored under this half-truth for perhaps a year or so before I unlearned it. Of course, Grosset & Dunlap has issued countless reprints over the years, but, as booksellers, if we don't familiarize ourselves with the many First Editions they published as well, we're likely to miss some important opportunities. Sales booming? Then you can safely pass on today's newsletter. If not, I invite you to accompany me on a recent trip to locate a book for my P.G. Wodehouse collection. As mentioned below, Chapter 17 of BookThink's Guide to Online Bookselling will be delivered to subscribers tomorrow. Subscribe now and receive all 17 chapters plus all remaining chapters as they are issued. So, maybe not quite 100 reasons it won't sell, but there are so many possibilities that sometimes it feels like it. Speaking of 100, you've probably heard this here at least 100 times before in one form or another: The quickest way to learn how to sell books is to buy books. I'm going to take my bookseller's hat off today and take you on a buying trip to show you what I mean from a buyer's point of view. Another group of five bookselling proverbs today, elaborated on. When is the last time you heard another bookseller complain about not having enough books to list? When is the last time you complained about it? Never? If anything, the story is more likely to be, "I have all of these darn books I haven't listed yet, and I keep buying more." And, so often, the spouse is complaining that books are taking over the house. If this sounds familiar to you, and especially if you're experiencing a downturn, it might be a good time to look at some reasons for not listing a book at all. There are many, and it can pay to heed them. Today's feature article discusses five of the most common. I have a question to pose: If you knew that the last book you listed will never sell in your lifetime, how would you feel? I concede that the process of listing some books can be an educational experience in itself, and if this is the case, okay, time well spent. But how often is it? A more specific question: If you knew that only five or ten of the last hundred books you listed would sell in your lifetime, how would you feel? I don't know about you, but I'd be thinking long and hard about the criteria I was using for listing books, not to mention buying them. Time is too precious not to. For me, sales are usually somewhat quieter over the summer, and so it naturally becomes a time to do things that have been put off some. Like re-pricing. I'm not a bookseller who re-prices much. Once a year at most, and even then it goes pretty quickly because not too much needs to be adjusted. Almost from the beginning I've attempted to acquire inventory that doesn't need to be re-priced, though sometimes doing this is easier said than done. Often this means listing books that are uncommon, much sought after or are special in some other way - signed books, for example. If you're re-pricing a lot, have you considered why? More Proverbs of Bookselling this week: 11 through 15. Ultimately, if you don't learn how to do at least some basic book repairs, you'll be leaving a lot of money on the table. And this is the purpose of BookThink's Bookselling Hack series - to show you how to accomplish them as competently and efficiently as possible. Today's hack - #3 in the series - demonstrates how to repair stapled booklets that are falling apart. Replacing a booklet's staples might seem like a repair that anybody with half a brain could accomplish without referring to a tutorial, but if the staples have rusted and eroded the paper they're stapled to, the approach isn't as straightforward. So, how has bookselling been going for you lately? For many years I've made a point of reading and sometimes posting on bookselling forums to help me stay in touch with what's happening in the trade. Also, via BookThink, I hear from many of you. It seems that things are somewhat more difficult for some of you now, but still - still - there are those of you who are doing just fine. There are reasons for this. This is why BookThink is still here. Bookselling hack #2 is up today, and the topic is spine roll. This is usually a straightforward fix, but the issue of binding tightness does come into play. Spine roll, or spine cocking, is seen more often in softcover books than hardcover - and perhaps most often in comic books. For collectors it's a moderately serious fault. To give you a feel for how serious, a rolled spine automatically reduces the comic book standard CGC grade, assuming no other issues, from 10.0 (Mint) to 4.0 (Very Good). Certainly bookselling is much about acquiring knowledge. The more you know, the better, right? Right. But there are intangibles too, and today's feature article takes a look at some of them. The word "hack," which has numerous, often pejorative meanings, has taken on a somewhat more hip meaning recently: a quick, often clever solution to a problem, as in, say, a hard-boiled egg hack, which might show one how to peel one without stripping half of the darn thing away with the shell. There are certainly no shortage YouTube tutorials that demonstrate solutions for just this, perhaps my favorite being the so-called Ninja method. Well, booksellers have problems like anybody else, so I thought it might be useful, occasionally, to offer some bookselling hacks in the BookThinker. Today's hack demonstrates a somewhat quirky but effective approach to repairing a softcover book whose cover is, let's say, mangled. One of the first big buys I made years ago was a library belonging to a Professor of Spanish literature. No surprise, there were many Spanish language books, and many of these were decades-old trade softcovers published in Spain and various Latin American countries in Central and South America. Most of the text blocks were sewn, so they were pretty sound overall, but many of the covers were in various stages of disrepair. We've been publishing the BookThinker now for some 11 years. In cyber-time, this seems like an eternity. So much has changed since 2003. But not everything has, and in antiquarian bookselling, given that it's a centuries old trade that's more about selling older things than newer, it's no surprise that most of the changes we've seen in recent years have been associated with what we sell, not how we sell it. Like hundreds, perhaps thousands, of other booksellers, I work out of my home, toiling in relative obscurity. While it's nice to work from home - I can work around my kids' schedules and other family demands - it can sometimes feel as if I'm working in a vacuum. I don't get to meet my customers and find out more about their book interests. I don't often get the opportunity to develop relationships with other booksellers, something that is crucial for success in the antiquarian book trade. On Saturday, November 8th, I participated in the 12th annual Houston Book Fair. It was my first fair. Set up was Friday. At CABS they told us that no matter how many book fairs we do, we will always be anxious about at least two things: (1) low or no sales;(2) fellow dealers will think my stock stinks. To assist in ameliorating those fears the faculty gave us a detailed list of what we would need to set up and strongly encouraged us to prepare a mock set up at home for our very first show. I over prepared and am glad I did. Part II of my two-part series on Time Magazine is up today. The focus is on high spots. As noted in Part I, Time Magazine has been publishing for decades, so it's no surprise that there are many high spots. Below is a sampling chosen more or less at random to illustrate various marketplace phenomena, all of which meet BookThink's worth-bothering-with ($50+) criteria in today's marketplace. Long time, no see. I've discovered that one of the difficulties of going solo now - producing content, coding, distributing email newsletters, etc. - is that it doesn't leave much room to get these things done if something else comes up. And two things came up in the latter half of this year - a month's-long project to add photos to every last book I had listed and an astonishingly busy holiday season - bookselling, that is. I'd like to think they are related, and I'll elaborate on this in the following article. I don't have anything brilliant to say today by way of introducing the feature article. It's about my cat. Does "early" mean anything to you in bookselling? It does to collectors, and whatever means something to collectors means something to us. More about this in today's feature article. When It Makes Sense to List Lower-Dollar Books: Yes, It Can! So, let's say you've gotten in too deep on some Easton's, maybe paid $10 apiece for a box of ho-hum titles from the 100 Greatest Books Ever Written series, and closed eBay auctions suggest that you will be working hard just to get your money back, even though yours are in fantastic condition. If this is the case, would you be interested in a proven marketing method that will increase your outcomes to $25 to $40 for common Easton titles? Mobile Bookselling: Where We Are Headed? Is It Time to Pop for an Electric Eraser? Nine Years of BookThink: So, what's Next? We don't often reprise things here, but occasionally there's good reason to. Now is one of those times because we've recently lost a literary treasure in Ray Bradbury. Science Fiction Editor Timothy Doyle interviewed Bradbury for BookThink several years ago. Following is Tim's eulogy and the original interview. How to remove odors from books may not be the number one question booksellers ask, but surely it's in the top ten. Ask it in a forum, and you'll get many different answers - baking soda, cat litter, Febreze, etc. - and I've written here about the use of ozone generators. But sometimes Mother Nature can help the cause. Find out how in today's article. Available now: BookThink's complete Gold Edition in PDF format. All 59 Gold Editions have been recently updated (and in some cases expanded) and combined into a PDF format e-book. A table of contents presents clickable report titles, and the entire document is searchable by keywords. The PDF format ensures 100% compatibility with all computers, tablets and smartphones, and it's easier than ever to take the Gold Edition with you on scouting trips. Purchase it Here for $59.99. Today's feature article - an overview of iPad applications I've found useful for scouting - will obsolesce quickly as new applications are inevitably developed, but if nothing else, this will at least give you an idea of how close the tablet has come to replicating a desktop or laptop computer in the field and, in turn, how much more powerful we can be as buyers at sales. Technology marches on, and to some extent bookselling with it. I began my bookselling life carrying a scouting book with me, and this almost seems quaint now, given the breathtaking capabilities of today's smartphones. The march of technology has steadily headed toward faster and smaller. Faster is always better, but is smaller? Today's feature article is an abridgement of the complete Irma Rombauer (Joy of Cooking) report, minus the marketing analysis and bibliography. It may be purchased next week. Previously published Author Reports may be purchased here. In the last installment of this series, I talked about what to expect when you actually go on the house call. I discussed my philosophy on coming up with an offer price, focusing on a collection where you have a good idea of the resale value of the books. I also covered some of the factors that could influence your decision to buy or pass; for instance, the ratio of good books to trash in the collection, and how much work would be involved in dealing with the trash. I recently received an email with the intriguing subject line "Wish to sell 400-500 SF books." The gentleman described himself as a longtime collector and stated that most of the books were first editions and printed from 1960 through 1990. The location of the books was approximately a two-hour round trip for me. While the email was quite brief and to the point, there was a lot there to interest me. The May 2011 fiction top 10 features Tolkien, Grisham, Trollope, Faulkner, Burroughs, King, Fleming, and Gibson, along with 2 copies of A Game of Thrones. Of these, 3 sold as Best Offers, 1 sold as a BIN, and 6 were auctions. In the non-fiction category, there were 4 Best Offers, 2 BINs, and 4 auctions. The Antiquarian & Collectible category was diverse with Karl Marx's Capital sitting aside Oscar Wilde's poetry, Theodore Roosevelt's game hunting in Africa, Mirour for Magistrates, and Winnie the Pooh. Publishers' Weekly (now Publishers Weekly) commenced publication in 1872, a whopping 139 years ago, and despite a recent shake up or two, still cranks out 51 issues annually. PW was originally conceived as a "catalogue" for publisher's to announce upcoming publications to booksellers (and otherwise draw attention to them). In the summer of 1874 at a publisher's convention in Put-in-Bay on Lake Erie, PW was established as the official organ of the book trade, and from that point forward it gradually expanded its content to include general book trade news and many related features. Recently I was offered an opportunity to test drive Pocket Profit, an Android scouting application developed by MediaScouter, a popular book scouting service. To note - my Android phone is a Motorola Droid X. I bought it late last year, and it was a nice upgrade with a larger screen and faster processor than my previous Droid phone. For my own scouting I have been mainly using the Android Amazon application, along with a few other barcode scanner applications. The Amazon application is the fastest I've tried and generates the most helpful information for selling books. It pulls up the individual sellers and their descriptions (or lack there of) and gives me insight on whether or not I can take advantage of writing a better description (as pointed out by our esteemed editor in a recent issue of BookThink) compared to the other sellers, and therefore pull in a higher profit. I often sell books on average about $3 more and many times even higher with an exceptional description. Special limited editions have long appeared in all three top 10 categories. In April 2011, though, the Antiquarian and Collectible list contained an unusual three signed limited editions. From the Taschen Stanley Kubrick's Napoleon: The Greatest Movie Never Made to Lady Chatterley's Lover issued in a privately printed signed edition prior to the first trade publication to Virginia Woolf's A Room of One's Own the titles range from 1928 to 2009. In the recently published Chapter 6 of BookThink's Guide to Online Bookselling, I suggested that inexperienced booksellers study catalogs of mid- and upper-tier auction houses to accelerate the process of learning how to describe books. The better catalogs are accompanied by clear, color illustrations, and by referring back and forth between these illustrations and their textual descriptions, one can start to learn not only how to describe a book's condition but also its important physical elements - each with terminology that will suggest that you know something about books. And the latter is important because it establishes trust between you and potential buyers and, more importantly, allows you to ask for and achieve good prices. In turn, if you can achieve good prices, you can compete more favorably in the marketplace for inventory - pay better prices for it, that is. And so it goes until you wake up one day and realize that you've figured out how to make money at this! When I first started selling books, I took frequent road trips and looked for inventory in, among other places, used bookstores. Most bookstores weren't selling online then, and there were many opportunities for arbitrage. I recall visiting a Tampa, Florida bookstore one day - it was nineteenninetysomething - I found a few local history books, and I took them up to the counter to pay for them. I don't recall how we got on the topic, but I quietly mentioned something to the proprietor about having bought some books online. Well, this mild-mannered Dr. Jekyll suddenly transmogrified into a monstrous Mr. Hyde, and I stood amazed at the subsequent tirade that went on for minutes, not moments. Crime isn't pretty. If you need a light mystery romp or a hero with a magnetic personality, this novel may not be for you. If you like crisp writing that moves along swiftly and prefer unvarnished reality when dealing with life's seamy side, you'll find it to be an enticing page-turner. The reader of A Very Simple Crime is immediately swept into a world of dysfunctional personalities. Kevin Johnson, proprietor of Royal Books, became a bookseller in 1997 and specializes in Modern Literature, Cinema, Art, and Photography. In 2007, Oak Knoll Press published his first book, The Dark Page, a full-color guide to the first edition sources for American film noir of the 1940s, followed in 2009 by The Dark Page II, a second volume covering 1950-1965. Kevin has been a member of the ABAA since 2002 and is on the faculty of the Colorado Antiquarian Book Seminar. Stephen King dominated the Fiction Top 10 with 3 entries among titles by Hemingway, Fitzgerald, McCarthy, Koontz, Rand and Howard. The nonfiction list was populated by the mix of Warhol, the Bible, Jimmy Page, and Edward Lear with Picasso and George Harrison thrown in. Tolkien held 2 places on the Antiquarian and Collectible list. The other spots were held by titles dating from 1476 to 1790. In the previous article the Marquis 25 was selected - the top 25 collectible American picturebooks. Although some might argue whether a book or two belongs in this list, most would agree that all belong in the Top 100 Collectible American Picturebooks. The next logical step is selecting the books that almost made the Marquis 25 - what I call the "Nearly No Brainers." These have many of the qualities of the Marquis 25 but by comparison do not have all the necessary credentials. A series of articles to select the Top 100 Collectible American Picturebooks, providing the rationale for each book's inclusion, with an objective of providing readers with the context for valuing first editions within the genre. The World Book Market, a bookselling cooperative, was founded in 2004 by a small group of booksellers, among them Aussie bookseller Guy Weller, known to many online booksellers as "Mr. Pickwick in Oz." In seven years, WBM has grown to over 80 members worldwide. Previously, its powerful, bookseller-designed database application was available to members only, but that will change beginning February 28, when it will be publicly offered as freeware. To learn more about this tool as well as WBM, I recently interviewed Guy. In December, the top 10 fiction category included authors ranging from Jane Austen to Neil Gaiman. In addition, regulars such as Fleming, O'Connor, Pynchon, and Meyer made appearances. Coming in at #1 in the non-fiction group was Gen. Carl von Clausewitz 3-volume set On War, made particularly special because it came from the library of T.E. Lawrence. A 1935 Japanese karate book came in second, followed by an unredacted copy of Dark Heart, the Taschen publication Kate Moss, and 4 late-19th century volumes on chess, among others. The Antiquarian and Collectible list was dominated by US sellers and contained both Best Offer and auction sales. Picasso, Wilfred Owen, Seigfried Sassoon, and Mark Twain were included in the top 5. I didn't discover antiquarian bookselling or consider it a viable career option until I was well into my 30s. Had I known the world of antiquarian books even existed prior to then, I would have found a way to major in it in college. Fortunately for me and for those of you who want to learn more about antiquarian books and bookselling, there are several educational programs available which can improve your level of expertise. And so goes the exchange between super-agent James Bond and super-villain Ernst Stavro Blofeld - a mid-century Holmes and Moriarty pairing that powered multiple books and films in Ian Fleming's James Bond canon. It could be said that Fleming himself lived twice, once as a WWII British Naval Intelligence Officer, the architect of both Operation Mincemeat and Operation Goldeneye, and once again, imaginatively, as James Bond himself, in 14 now-classic spy novels and story collections. I am a bibliophile: I love books. Most of you - I think I know BookThink's audience pretty well by now - also love books. We share this gladly. As bibliophiles, we are concerned about the survival of the printed book, not only because its departure, immediate or by attrition, will negatively impact our chosen profession of bookselling, but also because printed books enrich our lives broadly and profoundly in a manner that Google results can never. But it isn't always easy to articulate why. The Digital Revolution has inspired much conversation about this, but most of it has been and remains focused on the interaction with books as physical objects - the feel of them in our hands, their aesthetic beauty as objets d'arte on a shelf, or perhaps the quiet, deeply receptive experience of reading text illuminated by reflected light, an experience that cannot possibly be replicated by the direct-lit assault from a blaring, pulsating computer monitor or e-reader (though Kindles have taken a first step to mitigate this). The information I'm going to share with you has the potential to harm your business. The bright side is that, when used properly, it also has the potential to help supplement your online bookselling income. Yes, I'm late to the party. Fulfillment by Amazon has been available to sellers for several years now, and I just got on board late last year. The FBA concept is simple: 3P sellers bulk ship their books or other items to one of Amazon's warehouses, and when something sells, Amazon packs and ships it. Couldn't be easier. What this does is expose your inventory to market segments you previously had no (or indirect) access to - namely, customers who use Amazon Prime, Super Saver Shipping, not to mention Gift Wrapping. It also enhances your position in search, and most important of all, provides built-in trust. Customers who otherwise might be reluctant to purchase items from 3P sellers are not at all reluctant to pull the trigger under the Amazon umbrella. Fees are somewhat higher and apply to both sales and monthly storage, but in my limited experience these are more than offset by increasing my prices, which I can get away with because of the above competitive advantages. Also, I realize significant savings on shipping by taking advantage of UPS deeply-discounted rates to bulk ship to Amazon warehouses. The information I'm going to share with you has the potential to harm your business. The bright side is that, when used properly, it also has the potential to help supplement your online bookselling income. In the leadup to Christmas, eBay fiction top 10 was led by a signed 1st edition of Suttree. The Cormac McCarthy volume was way ahead of the pack, selling for more than double the sale price of #2. Others on the list ranged from a signed Conrad title to a 1922 Clement Woods book. The non-fiction list was headed by a signed limited edition of Paul McCartney's Blackbird Singing, followed by Easton Press' Long Walk to Freedom and a 1982 title by a college professor who believed the US government was taking control of her mind; the book was self published. When Slate reported George Wills writing that "Since Obama was sworn in, more than 600,000 copies of [Atlas Shrugged] had been sold," they focused an author of value to booksellers. In this fast-moving novel Jilliane Hoffman paints a frighteningly real picture of the vast playground the internet provides for sexual predators and the vulnerable teens and children they target. Thirteen year old Lainey Emerson has gone missing, and FDLE Special Agent Bobby Dees is on the case. Head of the Department's Crimes Against Children Squad in Miami for more than a decade, Dees is haunted by the unsolved disappearance of his own daughter throughout the investigation, leading him alternately through a maze of hope and despair. It's a high-pitched suspense, skillfully written in a totally engrossing (but not gross) style of this difficult subject matter that will have you riveted to the pages of this book from start to finish.